Sneinton’s existing spaces and places are held in high regard when we talk about what makes Sneinton special. We talk about public space in Sneinton mainly for its potential- the structure of its streets and squares is strong, but improvements are needed to bring out these qualities. 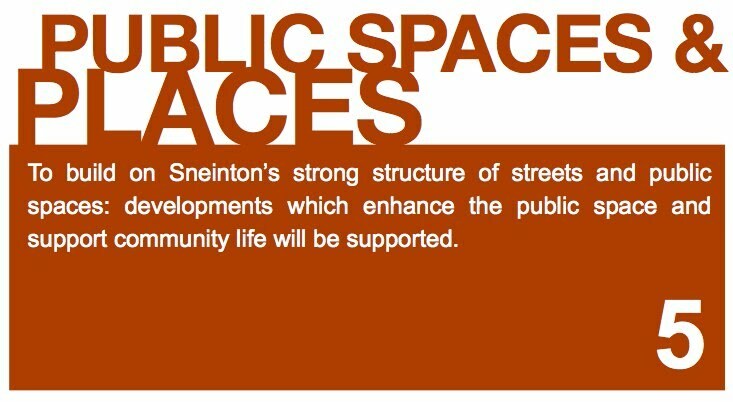 We think that better use of public space is needed to support and develop our sense of community in Sneinton. It’s all about supporting us in the way we want to live- people, spaces, the buildings and the landscape need to be thought about together to make decent places.